Versión en español de la Tabla periódica de la Biblia. 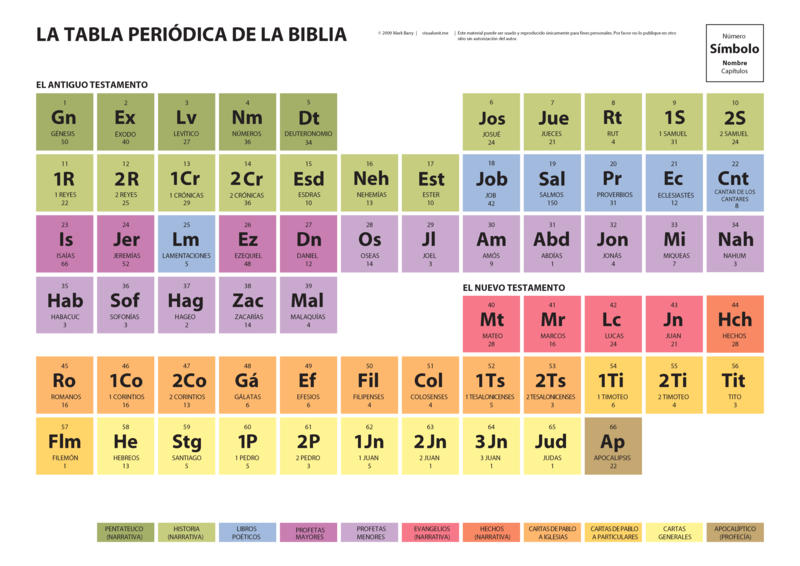 Spanish version of the ‘periodic table’ of the Bible. PDF version (297 KB). This entry was posted in Spanish and tagged Bible. Bookmark the permalink.